The Bakewell Croquet Club is increasingly successful, and has now completed it’s fourteenth season, 2019 being our fifteenth year of play. Our emphasis is on the informal fun side of the game, so we have tended to play mostly Golf croquet during our club sessions. This type of croquet has fairly simple rules, is more interactive than Association Croquet and therefore arguably more sociable. Some of our more experienced players are having tuition and learning the game of Association croquet, coached by an experienced club member. Association croquet is available and is generally played on the Thursday evening session. For a more detailed description of each type of Croquet see the Croquet Association site. We have two full sized lawns which are situated at Bakewell Recreation Ground in front of the Cricket Pavilion, which can be seen on our map. Croquet is a game of skill, artistry, cunning, subtlety, accuracy and even psychology, but especially one of fun. The club is always willing to consider giving demonstrations and taster lessons to raise funds for local charities or other town events. Further details about joining and our regular playing sessions can be found on our Membership and Sessions page. 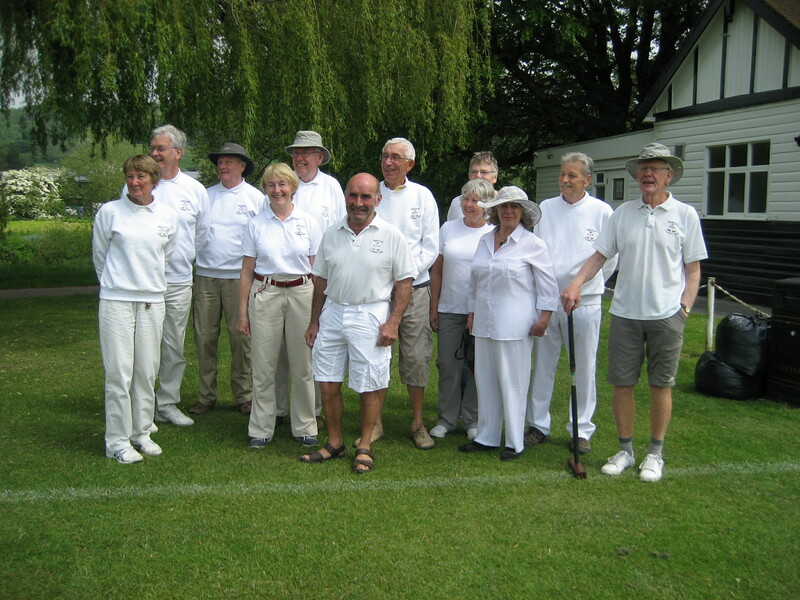 We are a Member of the Croquet Association and the Federation of East Midlands Croquet Clubs.